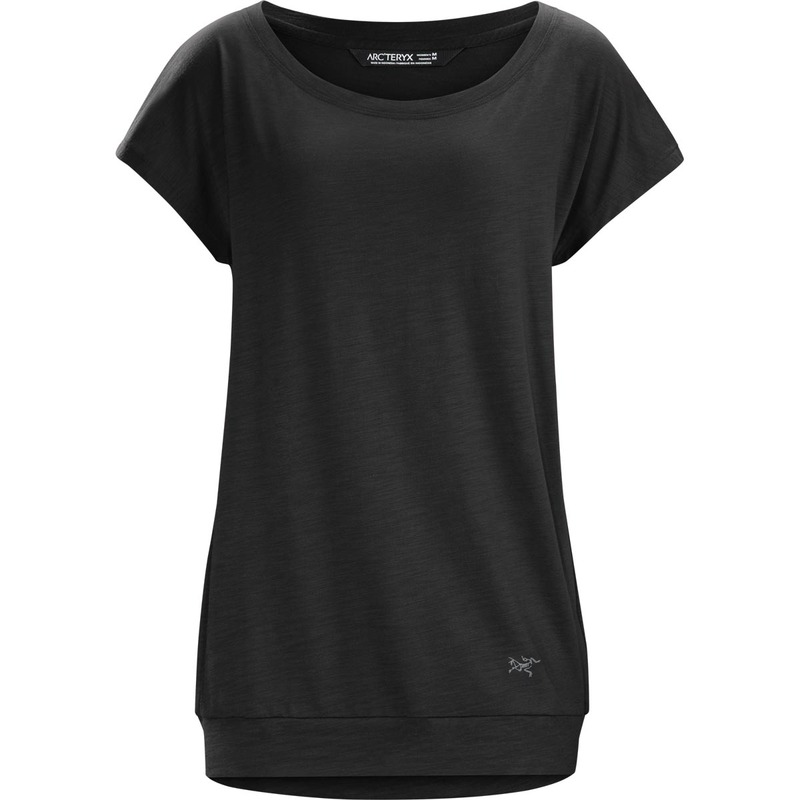 17180 Arcteryx Womens Pembina Short Sleeve Top The Pembina combines casual comfort and updated style to create a versatile top for city living and urban travel. The contemporary slouchy style works on its own or layers easily over a longer tank or under a jacket and the banded hem gives it a finished look. Made from Borna a cotton/modal slub knit jersey the Pembina is exceptionally soft and flows with the body. The relaxed fit is airy and comfortable but with clean defined lines. With style that easily adapts to a range of surroundings the light packable Pembina is great for travel.